I know you want him. You know he wants ya. Mr. Worldwide is a Miami native, so of course he's the logical choice for next year's Super Bowl halftime show with the big game being played in South Florida for the first time since 2010. I know you want him. [You know he wants ya](https://www.youtube.com/watch?v=0S3foICf5uI). 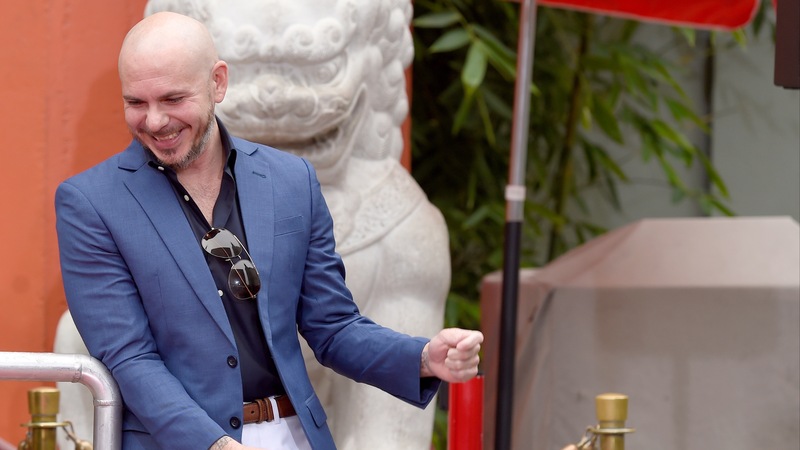 Mr. Worldwide is a Miami native, so of course he's [the logical choice](https://www.miamiherald.com/sports/nfl/super-bowl/article225923400.html) for next year's Super Bowl halftime show with the big game being played in South Florida [for the first time since 2010](https://www.youtube.com/watch?v=sxqvVQg2Y-c). And you can bet on this at [BetOnline](https://www.betonline.ag/sportsbook/futures-and-props/super-bowl), with Pitbull as the 5/1 favorite. __MORE:__ [A history of the Super Bowl national anthem prop bet](https://www.betchicago.com/super-bowl-national-anthem-odds-gladys-knight-prop-bet-history) The Miami area has hosted a record 10 Super Bowls (tied with New Orleans), and the halftime performers for those games [have been](https://www.cbssports.com/nfl/news/every-super-bowl-halftime-show-performer-from-maroon-5-to-marching-bands-and-everything-in-between/)... 1968: Grambling State band 1969: Florida A&M band 1971: Florida A&M band 1976: [A Tribute to America's Bicentennial](https://www.youtube.com/watch?v=T-ScWjvoc-Q) 1979: Super Bowl XIII Carnival, Salute to the Caribbean with Ken Hamilton and various Caribbean bands 1989: "Be Bop Bamboozled" featuring 3-D effects (Those were simpler times.) 1995: Tony Bennett, Patti LaBelle, Arturo Sandoval and the Miami Sound Machine (obvious connection to the area) 1999: Stevie Wonder, Gloria Estefan (Miami native), Big Bad Voodoo Daddy and tap dancer Savion Glover 2007: Prince and the Florida A&M marching band 2010: The Who So who's next? __MORE:__ [All you need to know about the new AAF](https://www.betchicago.com/need-to-know-alliance-american-football-championship-odds) | [Vegas books record modest win on Super Bowl 53](https://www.betchicago.com/super-bowl-las-vegas-sportsbooks-win) ## Super Bowl 54 halftime performance odds *odds from BetOnline as of Friday [Pitbull](https://www.youtube.com/watch?v=HMqgVXSvwGo) 5/1 [Drake](https://www.youtube.com/watch?v=DRS_PpOrUZ4) 6/1 [Flo Rida](https://www.youtube.com/watch?v=bpOR_HuHRNs) 6/1 (also a good choice, since the game and his name are literally the same thing) [Ariana Grande](https://www.youtube.com/watch?v=QYh6mYIJG2Y) 7/1 (a Florida native) [Florida Georgia Line](https://www.youtube.com/watch?v=zDo0H8Fm7d0) 7/1 (pretty obvious one here) [Justin Bieber](https://www.youtube.com/watch?v=zoYgCg6i9C8) 8/1 [Jason Derulo](https://www.youtube.com/watch?v=UyG1FG3H6rY) 10/1 (born near Miami) Metallica 10/1 (I got nothin' here.) [Luke Bryan](https://www.youtube.com/watch?v=crCqWK3SmRo) 12/1 Ed Sheeran 12/1 Taylor Swift 12/1 (personal choice 👍) Snoop Dogg 20/1 Backstreet Boys 33/1 (originated in Orlando) Surprised there's no field bet, but this is a pretty solid list. Only 359 days and counting. __PLAY:__ Our [free contests](https://betchicago.chalkline.com) for a chance to win a BetChicago prize pack.